When we buy a Laptop, we first think only about battery performance time. Because the battery is one most important part of the Laptop. A Laptop is nothing without a battery. So we always want a Laptop which has good battery backup. When you will buy a Laptop, then you will see Laptop battery time approx 5 hours etc. But is it true, Answer is no… The Laptop developers don’t tell you the real truth. 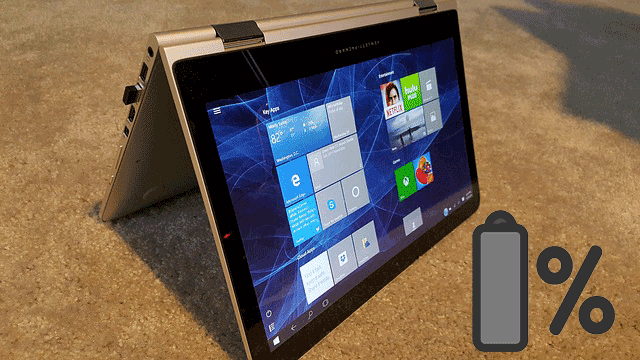 The developers test the Battery performance without any software installed on the Laptop. But when we checked the time it has big difference than the actual time which is in the Laptop description. After purchase, we install Operating System (if it doesn’t have) eg. Windows 10 and other softwares according to our need. Such as Antivirus, Office Suite, Web Browsers, Flash Player, Multimedia Player etc. Some softwares-apps need extra energy to run properly. So no one can tell the correct life of a Laptop Battery. If you are getting lower battery backup then this doesn’t mean that your laptop’s battery is poor or you have not purchased your laptop from a good company. Sometimes we also do small mistakes. Which causes to drain the Laptop Battery faster. 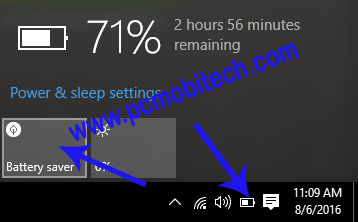 So here I’m sharing 5 simple battery saving tips for Windows 10 Laptops with which you can easily extend your Laptop battery life upto 1 to 1:30 hour. How to reduce Screen Brightness? 3. Turn off WiFi, WiFi Hotspot, Location and other adapters. If you use high screen brightness for the great viewing experience, then along with the laptop battery drain, it also affects your eyesight. If you are using 100% brightness of the laptop screen, then the battery will be emptied approx one hour before, compared to the 0% screen brightness. So in my opinion, should not use screen brightness more than 25%. It will increase your battery life and your eyes will be protected from the effects of the high screen brightness. Right click on the battery in the notification icon area and choose “Adjust screen brightness” option from the menu. In the Power Options at the bottom of the status bar reduce your screen brightness according to your need. 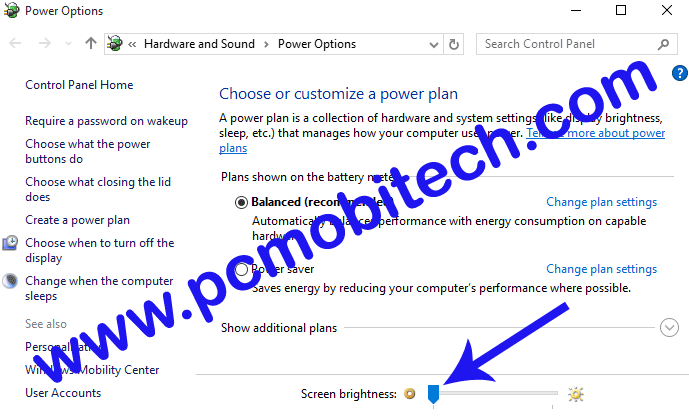 Windows Battery Saver feature can enhance Laptop battery time upto 30 minutes. Battery Saver stopped unnecessary background process, which decreases CPU use, so the battery performs more than normal laptop use. 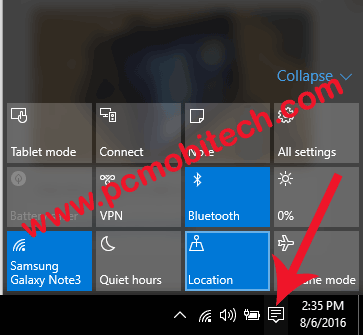 Click on Battery icon in the notification icon area and click on Battery saver to enable battery saving feature of Windows 10. We Regularly use our Laptop but forget the turning off WiFi, WiFi Hotspot, Bluetooth, Location features. These adapters consume unnecessary power from the Laptop Battery. So it much better for your Laptop batter turn off these adapters when are not in use. To turning off unnecessary running feature like WiFi, Bluetooth, Location etc. Click on New Notification icon in notification icon area and turn off unnecessary adapters that you are not using. Running more and more softwares-apps at the same time. Will need more power to maintain the performance of the Laptop. thus CPU, RAM and Hard Drive use more battery. Which causes the faster battery drain problem. So use few softwares and apps and extend your Laptop battery life. When we browse the Internet we mostly use Google Chrome and Mozilla Firefox Browser. Yes, These two browsers are most popular, faster and safer but these twos are good for desktop and for Laptop until you don’t use these on Battery. These two browsers use most computer resources which can cause high CPU and RAM use and therefore Battery drains much faster. Read about this here: Get more out of your battery with Microsoft Edge. Opera has also challenged Microsoft that their Opera battery saving feature saves more battery than Microsoft Edge. But I can’t say that which browser is best between of Edge and Opera. You can try both but they definitely save more battery than other browsers. After using these 5 simple tips, Your Laptop battery life will definitely increase. Let me know, is this helpful? 5 Battery saving tips for Android Smartphone Users. Enable battery saver & increase battery life with Opera Browser. Glad, You liked the post.